The A21 pedals have all the performance features of the Axis pedals with increased magnitude. 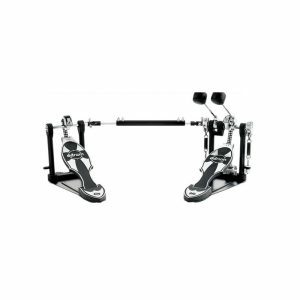 The A21 was designed to accelerate the beater into the bass drum with greater force and velocity, and to incorporate the Variable Drive Lever for greater adjustability. The 21 degree power forward beater angle has been integrated into the beater bracket maximizes the beater impact. The Variable Drive Lever settings farther forward produce a deeper footboard travel (more power), while settings aftward result in increased speed.